Proceeds from this golf tournament will go to American Legion Riders, a non-profit organization that raises funds and awareness to help support local veterans and veterans organizations, as well as raise funds to purchase an American Legion Hall for all local veterans to have a place to congregate, receive assistance and general help. The Sgt. 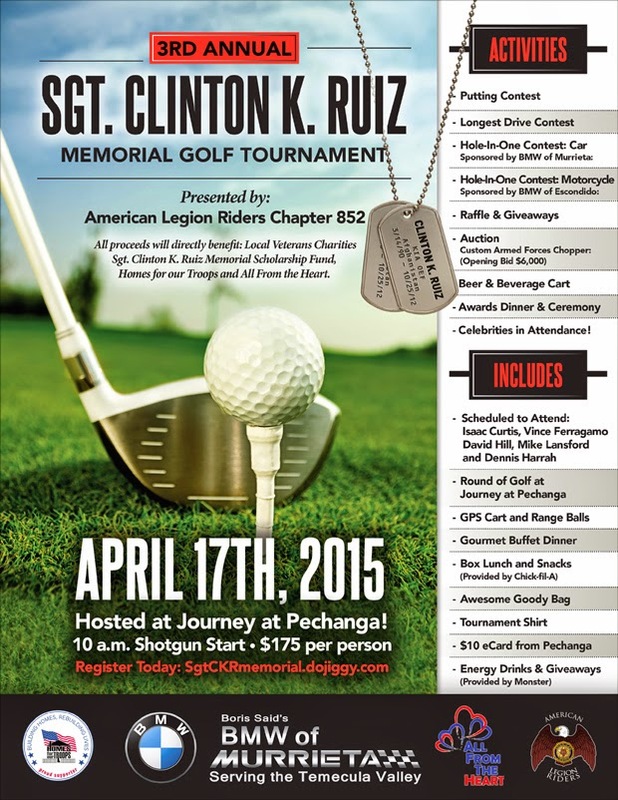 Clinton K. Ruiz Memorial Scholarship fund was set up in honor of a Murrieta Army hero, Sgt. Clinton K. Ruiz, who was killed in action Oct. 25, 2012 in Afghanistan.